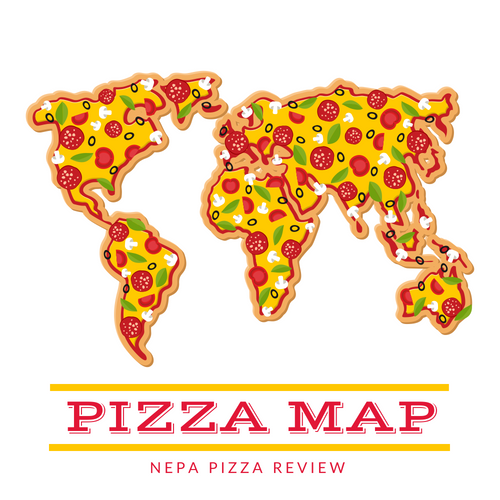 Whether you are a lifelong Northeastern Pennsylvania resident like myself, a transplant, or a tourist, chances are that you might have noticed that we in NEPA are spoiled with an incredible selection of high quality pizza. Have you ever been to the beach (particularly New Jersey) and said to yourself "Why the heck can't I find a decent pizza?" I certainly have, and I'll second that notion when it comes to hot wings as well. In this blog, we are concerned exclusively with pizza, and in NEPA we take great pride in our rich pizza heritage. We are so proud of that pizza culture that we even have our own term for a pizza and you may not even realize it. Here in the Northeast PA, we refer to pizzas as "TRAYS." It doesn't matter if it's an Old Forge, a Sicilian, a New York, a Chicago, or a Margarita style pizza - we call it a tray. For many, the term "tray" has always just been synonymous with pizza. 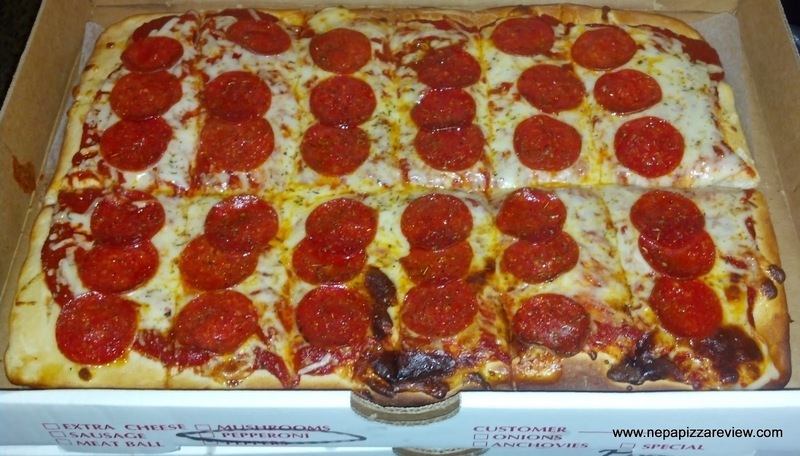 You call up the local pizzeria and order "2 large trays with pepperoni" and sure enough when you get there, the pizza guy has 2 steaming hot pepperoni pizzas ready for you! They understand the vernacular, and it is rarely second guessed here in the 570. It's really part of the very fabric of the pizza scene here, but how did we come up with the name? I've asked around over the years and no one can provide a thorough historical answer on the topic, but one would surmise that the term probably originated with the creation of the Old Forge pizza which is traditionally cooked on a metal tray and served on a plastic cafeteria tray. If this is the root of the term, why don't we call french fries "cardboard containers" or hot sandwiches "aluminium foil?" OK, maybe those are a bit far fetched, but why do we call pies "pies" and not pizzas "pies?!?!" Quite honestly, the term "Tray" has always driven me nuts during my career as a pizza maker. I'm slaving in front of a 600 degree oven pouring every ounce love I have into each and every pie trying to make each customer experience the best pizza they can possibly have on a given night and it's referred to as a tray!? The tray is the plastic or metal serving platter that goes underneath the pizza. Are we overlooking the saucy cheesy culinary creation in favor of the dish on which it is served? I've seen some nice looking trays in my day - silver ones, christmassy ones, big ones, small ones - but no trays that I was ever compelled to eat. For that matter, a high percentage of pizzas are served in boxes, why don't we call up and order a large double crust box with broccoli? You might get a creative response from the pizza maker on that one! Now before you give me the "well they call long sandwiches on a bun hoagies, grinders, subs, heroes, etc" argument so the same concept applies, I challenge you to find an alternative term for pizza besides "pie." It is no easy task! Equally as challenging is finding evidence that people outside of the area refer to pizzas as trays. I tried searching google, yahoo, bing, and ask to find references to the term and had very limited success. Is it possible that this concept is just not published online (or that no one is neurotic enough to write about it!)? Perhaps my search engine skills are not up to par, so I continued my research by interviewing people who have been to or have friends/relatives in other areas of the country to see what they call pizzas. I've got eyes and ears on the ground in Albequerque, Providence, Lincoln, Louisville, Cincinati, San Francisco, Des Moines, and San Antonio. All of my sources there tell me that pizzas are referred to as "pizzas" or "pies." They have never heard of any other terms, and certainly never refer to the pies as "trays." I have a reliable source in nearby Binghamton, NY who thought I was speaking another language when asked the question! There is evidence that some NEPA transplants in Harrisburg, Philadelphia, and Allentown to use the tray terminology, but they appear to be in the minority, which means that this term is exclusive to the northeast region of the great state of Pennsylvania. Now I can continue to rant and expound on my ideas about the term, but when I take a step back and really think about it, how awesome is it that we as a group have our own word for a pizza? It's pretty darn cool! It's a real testament to how important the pizza industry is here in NEPA. People may look at us a little funny when we leave the area and request a tray, but deep down we know that the pizza that we get outside the area probably isn't quite as good as what we can get right here at home. So I say celebrate the term "tray" and use it every time you refer to a pizza - well, except around me - it still sounds like nails on a chalkboard to me. I'll stick with "pie", but I'm glad I'm part of an area with it's very own pizza terminology! 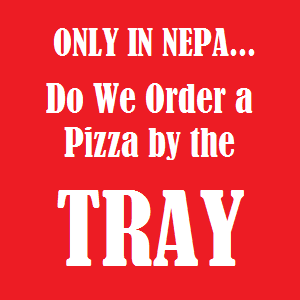 The only reason I knew about NEPA pizza being called trays is because I have a friend who grew up in the area. The first time I actually asked for a cut / tray I was terrified she was pulling my leg and I'd get laughed at, but the waitress didn't bat an eyelash. And I got a very tasty slice - oops I mean CUT of pizza! It's amazing how this word "tray" is entrenched in the vocabulary of this area, but you bring up another interesting word with the word "cut." I just assumed that was used ubiquitously across the country as a term synonomous with "slice." I will have to research how far this term reaches and report back! Thanks for the comment. I didn't know no one else called pizza trays until I moved away to college and asked the girls in my dorm (from Boston) how many trays of pizza I should order. They literally looked at me like I was a nut. That was 15 years ago I moved away and still to this day everytime I order a pizza I still call it a tray and I still get that same look. It's crazy isn't it?! We throw the word around NEPA like it's "the" or "and" and never think anything of it. Then we get outside of our area and people think we are nuts! I have to get out of town and order some TRAYS soon.